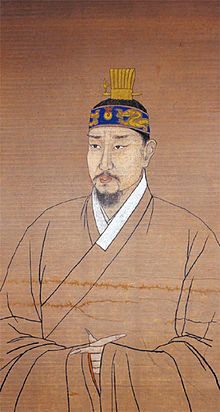 On this date in 1762, the Korean king Yeongjo had his son and heir Crown Prince Sado immured in a rice chest — where he would die after eight excrutiating days. This bizarre incident, attested by the memoirs of Sado’s widow Lady Hyegyeong, continues to perplex down to the present day. In Lady Hyegyeong’s telling, the tyrannical father warped the sensitive son, sending the latter into a destructive spiral of madness. As the 1750s unfolded, Sado’s behavior grew erratic, violent, and delusional. He was prone to sudden fits of rage, stalked and raped court ladies, and wandered Seoul streets in disguise. He eventually murdered numerous servants, eunuchs, and miscellaneous commoners — even his own concubine. The court lived in terror of the mad prince’s impunity; the ruling dynasty itself stood in peril. “Since the prince’s illness has become quite critical and his case is hopeless, it is only proper that you should protect yourself and the royal grandson, in order to keep the kingdom at peace. I request that you eliminate the prince, even though such a suggestion is outrageous and a sin against humanity. “It would be terrible for a father to do this in view of the bond of affection between father and son; but it is his illness which is to be blamed for this disaster, and not the prince himself. Though you eliminate him, please exert your benevolence to save the royal grandson, and allow him and his mother to live in peace. The royal grandson was indeed spared. When that child, Jeongjo of Joseon, finally succeeded to the throne upon his grandfather’s death in 1776, he wasted little time restoring the honor of his dead father.